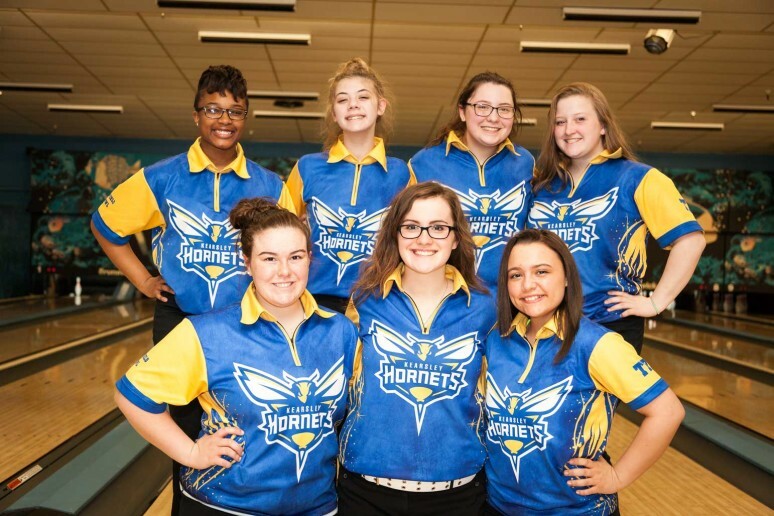 During the past decade, Kearsley High School has earned a well-deserved reputation for being one of the state’s most fiercely competitive girls bowling programs. When the Hornets appear on the schedule, opposing teams and their coaches know they are in for a challenging day. Not many have found a way to conquer them in dual-matches. 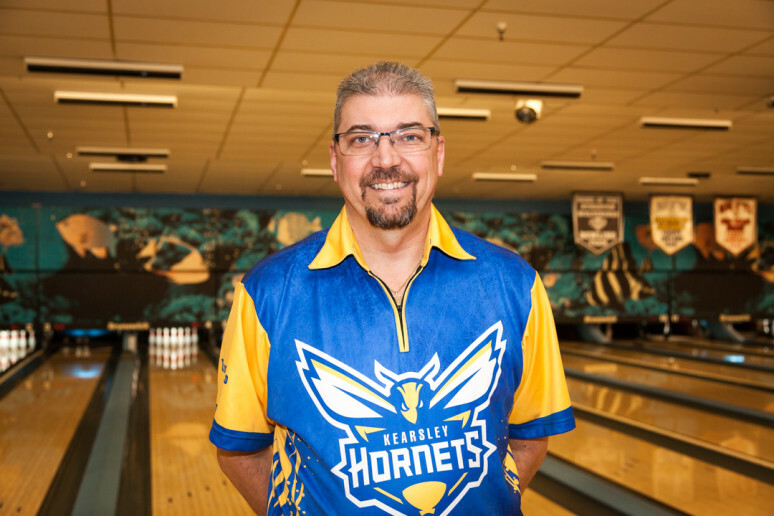 Kearsley’s 132-13 record (through February 14) in coach Rob Ploof’s 13 seasons is evidence of that, and the Hornets have not dropped a Flint Metro Bowling Conference match since January of 2009. While impressive, those are hardly the program’s most noteworthy accomplishments. Kearsley is seeking a fifth consecutive Division 2 state championship this month and sixth championship in the past seven seasons. No other team in any division has won more than three straight state titles. The Hornets, first in the latest state rankings, are also chasing a sixth regional crown in seven years and clinched a ninth straight league championship last month. That knack for performing better in challenging situations can be attributed, at least in part, to the fact that the Hornets hate losing to each other. 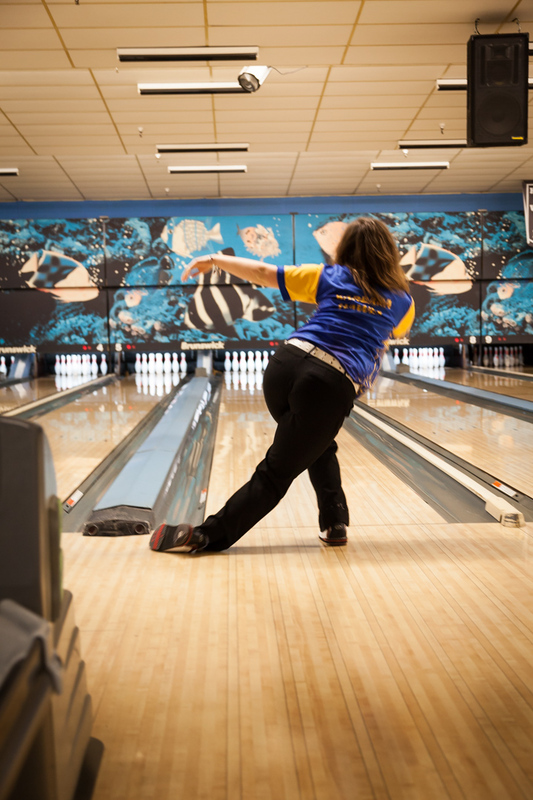 Their practices at B’s Bowling Center tend to be nearly as competitive as its matches. Another reason for the intense internal competition is that varsity roster spots are always on the line. For all his success with the program, Ploof employs a rather simple approach to determining the varsity lineup. In fact, he leaves it up to the girls. The program appears stronger than ever this season. The Hornets finished 16-0 in dual-matches, breezed to another conference tournament title and, among other highlights, won the Baker’s Dozen Tournament at Bay City Western, knocking off ranked teams Davison (5th in Division 1), Owosso (3rd, Division 2) and Alma (1st, Division 3). As of mid-February, no team in the state in any division had posted a higher team score in a match than the Hornets’ 1,141. Besides Blond, junior Alexis Roof also made first-team All-State a year ago while senior Barb Hawes made the second-team. All three also made the all-league first team last year, while seniors Emma Boychuk and Karlee Griffin were second-team. Junior Mary Wheeler also played an important role in last year’s state-championship match. Roof, Boychuk and Wheeler contributed to Kearsley’s final score in the 2016 state-title match, as well. Blond boasts the team’s highest average (219.6), followed by Hawes and Roof (both 206), Griffin and Boychuk (both 191), Wheeler (182) and freshman Allison Robbins (177). 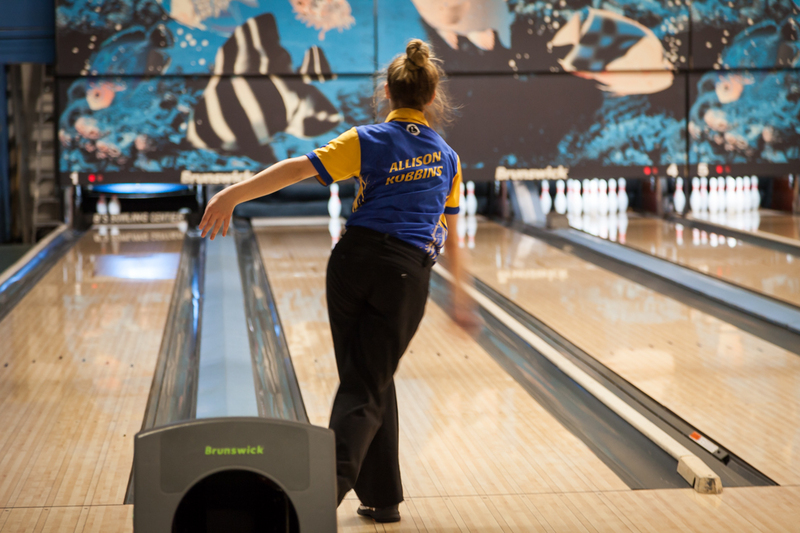 Hawes was the only girl in the state (as of February 14) to roll a 300 game in high school competition this season, achieving perfection at the league tournament. “Returning the entire varsity lineup from last year was big for us; but also, the number of other girls who have challenged them this year has really boosted the program, overall,” Ploof says. Kearsley displayed its depth when Blond missed the first month of the season after breaking her bowling hand less than a week prior to the season-opener. Robbins seamlessly filled the void. Blond has been rounding into form nicely since her return. She won a singles tournament in Bay City in February, easily defeating Essexville-Garber’s Kendyl Hofmeister, 234-170. A busy offseason saw Blond win four straight Michigan Junior Masters tournaments last fall, defeating an All-State, college-bound bowler in each final. She was also 17th of 327 entrants in the prestigious Junior Gold National Tournament. Encouraged by her mother and older siblings, Quinton and Quinisha Burnett, Blond started bowling at age four. “They taught me everything about bowling,” she says. “I did not have any coaching until middle school.” Blond’s siblings both bowled for Carman-Ainsworth and Indiana Tech University. Quinisha is mentoring her younger sister again, after becoming Ploof’s assistant this season. Chyanne Hibbs, a member of Kearsley’s first state championship team in 2012, Jeff Timm and Scott Gruener are JV coaches. The Division 2 team and individual state tournaments are March 2-3 at Super Bowl in Canton. 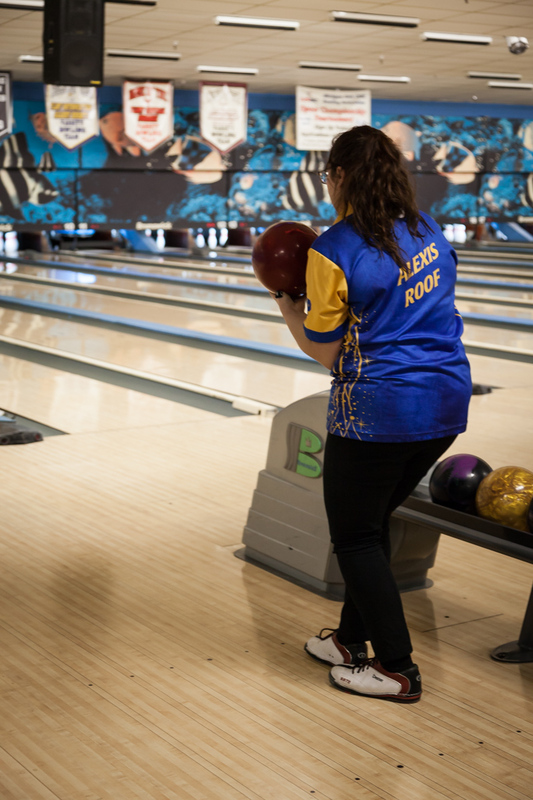 “The girls have been bowling great all year throughout the lineup, but you have to be on your game that one particular day and be ready for anything,” Ploof said. Individually, Blond just missed advancing to the state semifinals last year, losing her quarterfinal match by four pins to eventual state champion, Angela Meadows of Taylor Kennedy. Roof and Hawes also fell in the quarterfinals. Ploof, a 1986 Kearsley graduate, has bowled since grade school and met wife, Pam, through the sport. He entertained thoughts of coaching, but wanted to wait until oldest daughter, Lindsey, reached high school. His opportunity came much earlier. 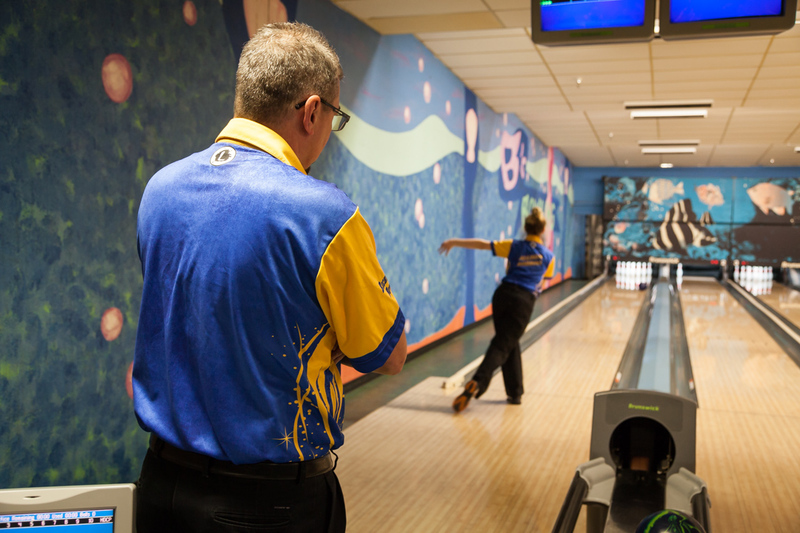 In the summer of 2005, Flint Metro Bowling Conference Commissioner, Debbie Alexander, informed Ploof that her husband, Bob, was stepping down as Kearsley’s coach and offered him the job. Ploof said he wanted to wait, because Lindsey was only in sixth grade, but Alexander reminded him a coaching opportunity might not be available then. Ploof took the job and the program took off. The Hornets qualified for the state tournament for the first time in 2007 before winning their first league title and reaching the state-title match for the first time in 2010. Lindsey Ploof was individual state champion in 2011 before the team broke through for its first regional and state championships in 2012. Four more state titles followed from 2014-17. Hannah Ploof won the 2016 individual state championship. They arrive well-prepared … and ready to dominate the competition.